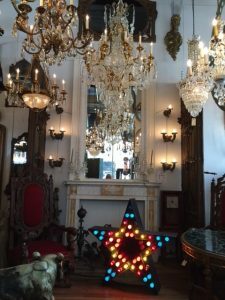 When looking for beautiful antiques to fill your home or office, you could look for the perfect piece in small antique shops in even smaller towns. But when you live in New York City, you can find unique beauty in altered antiques® at Olde Good Things. There are four different Manhattan locations offering amazing pieces reclaimed from older buildings such as the historic iconic Flatiron building and the Toy building located at 200 Fifth Avenue. The fixtures and windows retrieved were then cleaned and made into beautiful pieces that’ll upgrade your home or work space into an earth friendly, trendy work of art. These pieces range from gorgeous mirrors repurposed from reclaimed copper clad windows, and elegant light fixtures. At our location on 5 East 16th Street in Union Square, you can find a handmade farm or industrial table that would make a great conversation piece while enjoying food, family, and friends. You may also find some amazing tin tiles that would be just right to enhance your apartment, home or office walls. You can also find a great selection of incomparable light fixtures that can add a touch of class to any area. 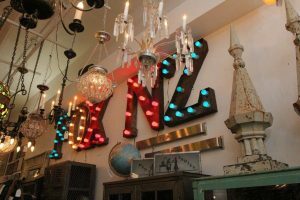 The Union Square location has two levels as well as a mezzanine of brilliantly recycled antiques that can add that little extra something to any room you are looking to furnish. 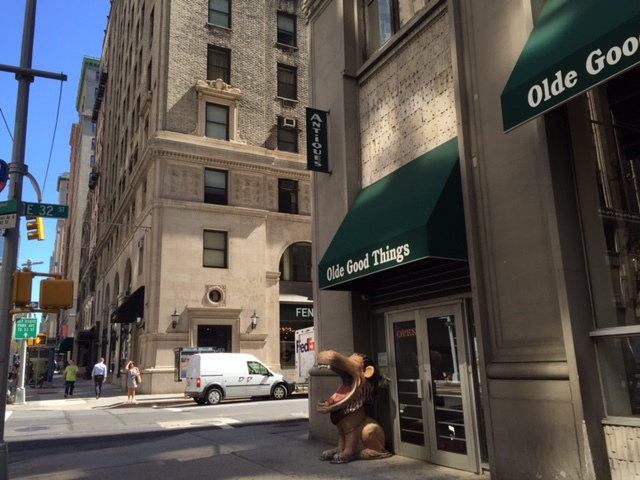 The location in Chelsea, 124 West 24th Street, is the first Olde Good Things we opened in Manhattan. Our largest store, it has a relaxed, eclectic flea market feel when you walk in the door. Come in and take your time browsing the wide range of restored and repurposed items such as antique furniture from the 1930s, as well as metal furniture like metal desks and filing cabinets. This location offers the largest selection of original hardware, as well as doors and mantels. 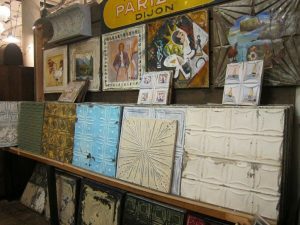 Each piece is saved from a landfill fate and offered to the general public for use in any home or office environment. Also, don’t let the “For Lease” sign mislead you, we are open for business and are not planning on going anywhere anytime soon. 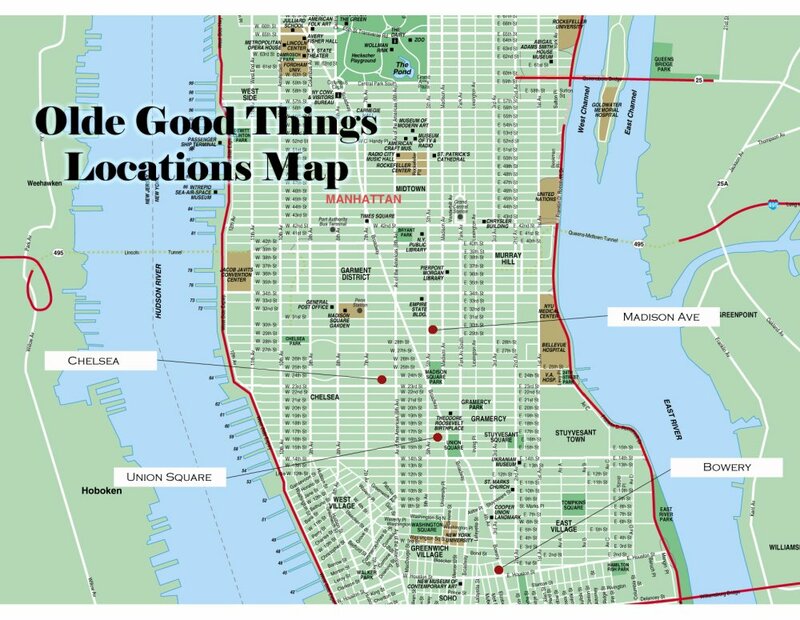 At the Olde Good Things 302 Bowery location, there are two levels of reclaimed and altered antiques®. Here you’ll discover an assortment of chandeliers, a wide range of practical as well as interesting accent pieces including handmade and industrial furnishings. You’ll find architectural pieces including beautiful stained glass that will enhance the appeal of any room. We have an eclectic array of seating, tables and lighting all aimed at Restaurant entrepreneurs who may be refashioning their eating places, since this location is right in the heart of the restaurant supply district. You’ll find hook racks, round accent tables, and amazing reclaimed building stones and artefacts from New York skyscrapers. The Madison Avenue store located at 149 Madison Avenue has an astounding 5600 sq. 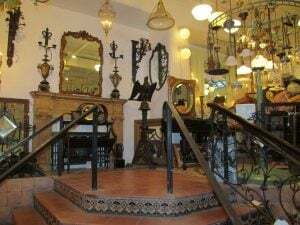 ft. of open floor filled with a breathtaking treasure hoard of opulent lighting, antique mirrors, decorative art, pottery, and industrial and European finds. There is even a smaller upper level that offers a selection of marble mantels and eclectic artwork you can add to any living space to make it unique. Imagine what treasures you can find at any of the Olde Good Things locations. With four stores within near walking distance in New York City, you don’t have to spend all day finding the right piece for you. Walk in, take a look around, and uncover beautiful and historical pieces that will transform your home or office into a conversation starter.